This week I checked online at Equifax's devoted website page to see if I was one of the 143 million Americans who had their valuable information stolen by hackers. I was. So was my wife, Jessica. I can't tell you how incredibly upset I was at Equifax for allowing this to happen. But I was livid after finding out that they knew about this breach two months ago and only reported it to all of us little consumers just now. I don't believe for one second that the three executives at Equifax who sold shares a few days after the company detected the breach "didn't know" about the hack. How stupid do they think we are? The fact that they sold the shares within a couple days of the detection gives them better cover for their lies to the SEC. Had they waited a week or longer, there is no way they could've lied about their ignorance and it be anywhere near credible. May every Executive at Equifax be fired, and put in jail! How do you feel about this? 1) Now you'll have to monitor your credit at all 3 credit bureaus. If you didn't do it at all, it will become imperative for you to monitor your credit at least once a year. That's free at AnnualCreditReport.com. I may have to bite the bullet and pay for a monthly credit reporting service. After comparing various identity theft protection services at Reviews.com (a very comprehensive report btw), the best one for me is IdentityForce. Their package starts at $23.95/month. Don't think that just because you don't have a lot of money to be stolen from your accounts that you are less of a target. Remember thieves can open credit cards in your name and if you're not monitoring your credit, the liability falls on you. Why not simply take the one year courtesy identity protection program provided by Equifax as a mea culpa gesture? You kidding me? They're scoundrels! Don't trust them at all. In fact, you may be waiving your right to be part of a class action lawsuit if you do. It says so on their fine print if you actually read the terms. My day to sign-up for the service is 9-12-17. But after doing some research, I'm not going anywhere near their website any more. 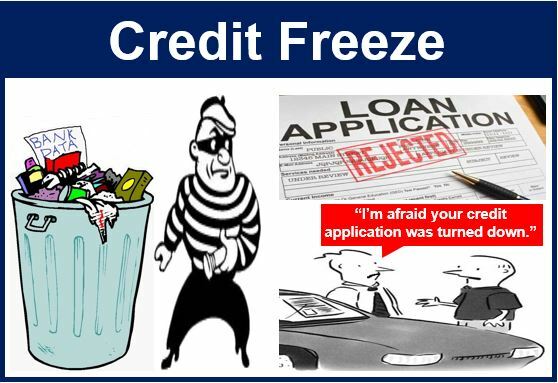 2) Freeze your credit. You can avoid having to worry about someone opening up a credit card in your name by calling the three credit bureaus (avoid calling Equifax) and telling them you want your credit frozen. 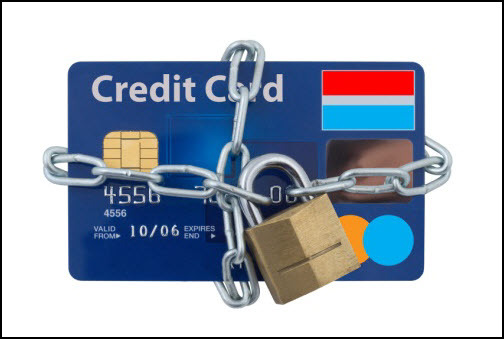 This means that any would-be identity thief will have to provide a PIN to "unfreeze" your account before being allowed to open a new credit credit line. They won't have this PIN, you will...(hopefully they haven't already locked you out). Here are the numbers you can call: Experian, 1-888-397-3742. TransUnion, 1-888-909-8872. Here's the catch. You'll have to wait at least three days to "unfreeze" your credit and you may have to pay a small fee ($10.00 at Experian for most U.S. states and free for seniors 65 and older) for doing this. If you are not going to be applying for a mortgage or a loan any time soon this may be a cheap option. The freeze can be as permanent as you want it to be so no recurring costs. 3) Set a Fraud Alert. A fraud alert is great to deter identity thieves from opening up accounts in your name. They'd need your name, social security number, address, and other personal info to do so. So basically all of the information Equifax gave up. If you weren't affected, you should consider this free service. The catch is that the fraud alert set-up only lasts 90 days so you'll have to be on a renew schedule. Unlike a credit freeze, however, you'll only have to call one of the three credit bureaus to set this up. 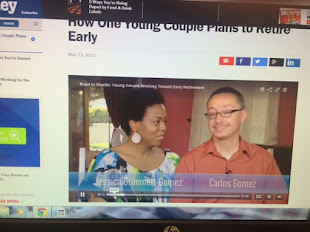 4) Make sure that whatever You decide to do, you also repeat the process for every other adult in your household. 5) Be extra leery and vigilant prior to tax season. Identity thieves will use your social security number to file fraudulent tax returns and receive your tax refund. Okay so it looks like we all have yet another thing to worry about now thanks to Equifax. My best suggestion is for you to pay $10.00 to freeze your credit, if a monthly monitoring service is too expensive. Identity thieves may be able to withdraw all your cash from accounts, but they at least won't be able to open credit cards and really hurt you for a long time. May you never be the victim of identity theft! Thanks for reading. I'm still pissed about this stupid breach. The only upside (and this is a stretch) is the fact that so much information was leaked, so the likelihood of any of us individually being picked out of the 143 million other people to be used for applying for credit cards (or whatever) is pretty small.